WWith over 10,000 stores, 157,000 employees and more than $50 billion in annual sales and growing, FRF knows that Florida’s convenience stores are a vital economic driver for our economy, and our Convenience Store Council helps to elevate the industry’s status even more by providing increased advocacy and support. The Convenience Store Council focuses specifically on the needs and opportunities of Florida’s c-stores, and identifies ways to reduce burdensome regulations, expand the industry, and help to grow these businesses. FRF has a long history of representing Florida’s convenience stores with much success, and we are proud of the positive impact we’ve made. Our strong relationships with influential legislators and the strength and experience of our lobbying team lends to our success – from supporting legislation that increased penalties for gas pump skimmers, to defeating a bill that would have banned soda and candy from being purchased with SNAP benefits. FRF also worked on c-store owners’ behalf to lower workers’ compensation rates, decrease the commercial lease tax, and defeat bills that proposed to ban plastic bags. On a local level, FRF fought to defeat sign ordinances, partnered with the Attorney General’s office to file suit against the City of Miami Beach regarding minimum wage increases and filed another suit against the City of Coral Gables’ proposal to ban polystyrene. Additionally, your Council membership creates buying power by offering affordable services to help you more effectively run your business, and voice power by connecting you with other business leaders like yourself in the pharmacy industry. 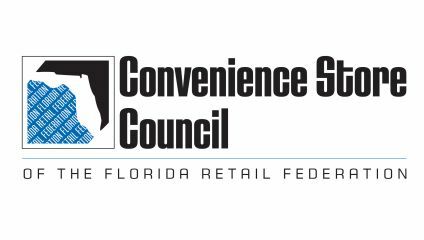 Becoming a member of FRF’s Convenience Store Council will continue to provide you with a powerful advocate at the national, state and local levels, as well as cost saving benefits, and statewide events to keep you plugged in to the latest in Florida’s retail and c-store industries. The future is bright for this industry and we’re excited about the increased impact that Florida’s c-stores will have!